One day, when Jesus was a boy, He went on a long journey. Every year Mary, His mother, and Joseph went to visit the big city of Jerusalem. They went to see the beautiful church there. They called the church the Temple. It took several days to make the journey, because they had to walk all the way. Every year Jesus had wanted to go. All His life He had heard about the beautiful Temple and He wanted so much to see it. But each year His mother had said, “No son, you cannot go this year. 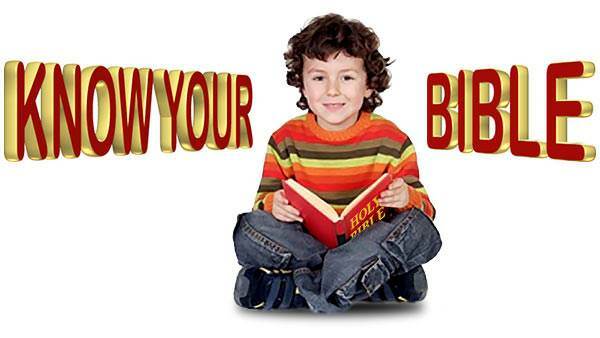 It is a long journey and you are not big enough or old enough.” So each time Jesus had stayed home cheerfully with His little brothers and sisters. Jesus was very happy as they started out. He was strong—so strong that He did not grow tired as He walked along beside Joseph. When Mary became tired she put her hand on Jesus’ shoulder and He helped her. 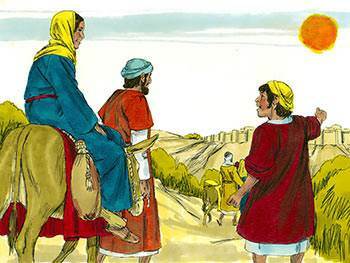 At last they reached the big city of Jerusalem. 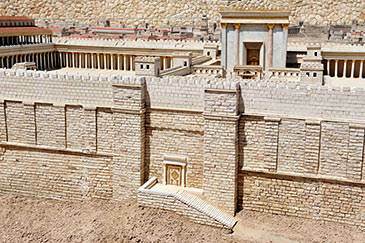 Jesus was glad to see everything, but most of all He loved the beautiful Temple. He thought it was the most wonderful place He had ever seen. 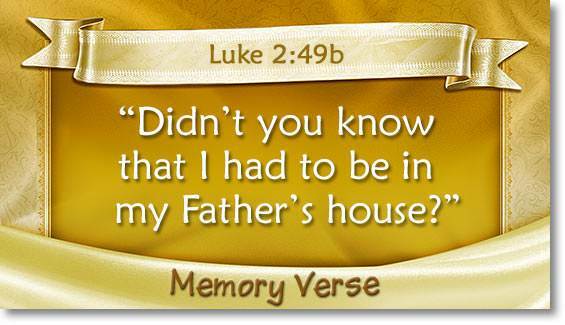 Because it was God’s house it made Him feel very close to the heavenly Father. 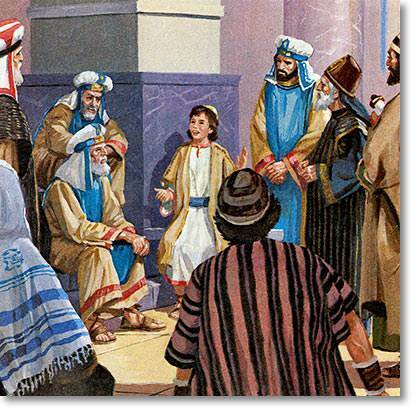 Jesus wanted to spend all His time there, listening to the ministers and teachers, and learning all He could. At last it was time to go back to their own home. Mary and Joseph had found many friends who were going back with them. Soon they were ready and they started for home. 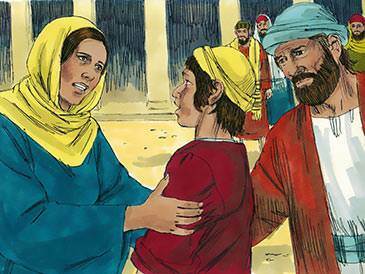 Joseph was walking with the men, and he thought that Jesus was with Mary. 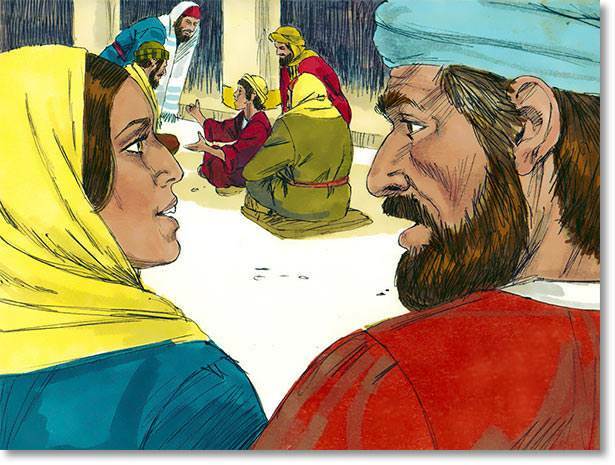 Mary was walking with the women, and she thought Jesus was with Joseph or with some of the boys from their home. But He was not. 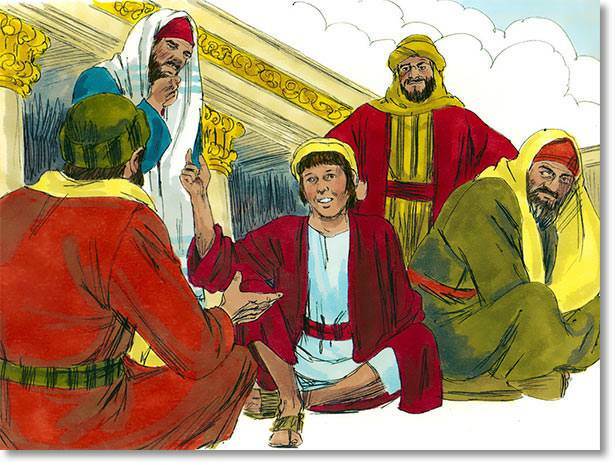 Jesus was back in the Temple, listening to the teachers. He was so interested that He did not even know it was time to go home. He hoped He could stay a long time in the Temple. Joseph looked worried too. “I have not seen Him,” he said. “I thought He was with you.” Anxiously they hunted among all their friends for Jesus. He was nowhere to be found. They left their friends, and hurried back to the city. They looked everywhere along the way for Jesus, but they did not find Him. They reached the city and hurried to the beautiful Temple, for they knew that was where Jesus loved to be. Sure enough, there He was quietly listening to the teachers. He was so happy and so interested that He had not even missed them. Jesus was surprised when He heard they had started home without Him. He was sorry He had made them worry, for He had not meant to do so. Jesus would have liked to stay longer in the Temple. But He wanted even more to obey His mother. So He left at once, cheerfully and willingly, and went back with Mary and Joseph to their own home.